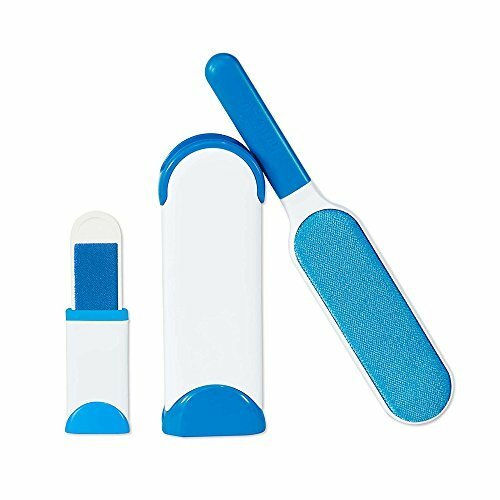 Double-sided, this pet fur remover removes fur and lint twice as fast as a one-sided lint brush.The self-cleaning base removes pet hair from the lint brush.Every dog or cat owner will need this perfect cat dog brush.And every mother or wife will need this pet fur remover to handle mess fur or lint more easily. EASY TO CLEAN - Just dip the fur-filled brush in the base several time, after that, you will have a clean brush again. What's better than an easy-to-clean cleaning tool? LIFETIME GUARANTEE - We stand behind our product and offer 100%, lifetime money back guarantee. Your pets will have all the fun in the world - or you get your money back. We guarantee to provide you with the very best, with zero risk! If you have any questions about this product by RIHACHAN, contact us by completing and submitting the form below. If you are looking for a specif part number, please include it with your message.